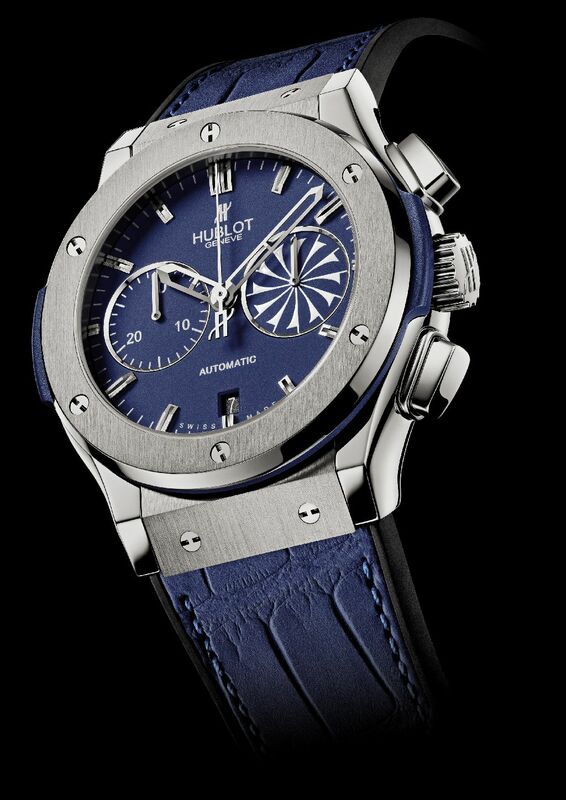 Luxury watch brand Hublot with its Greek partner Flamme Hellas and Gofas, is introducing a special series of limited edition watches inspired by Mykonos, the most festive Greek island. A 45 mm diameter chic sports watch equipped with a chronograph movement, a titanium case chosen for its lightness, shock-resistance and extreme corrosion-resistance, a dial as blue as the Greek waters with silver counters like the surface of the sea that glimmers in the sun (in the center of the counter at 3 o’clock appears a discreet elegant windmill which is the common sight for the Cyclades and Mykonos in particular), and a matching tone blue alligator strap sewn onto rubber for better resistance and flexibility, this limited edition creates a union between land and sea. It represents the fusion of the elements. This watch is part of a limited edition of 25 and is exclusively available from the Gofas store – Matogianni 43 – 846-00 Mykonos. Bezel: 6 titanium H-shaped countersunk, polished and locked screws.